How to sell an iPad for cash, risk-free! Where can I sell my iPad near me? How much is my iPad worth online? When should I sell my iPad? What model is my iPad? We get it, you want to know how to sell your iPad easily, quickly, and for the most cash, you can get your hands on. After all, whether you're looking to upgrade and trade-in your old iPad for a new one, or simple decluttering to earn some cash, you want to get a good deal. The process sounds easy, but there are options everywhere! Be it iPad trade in services in stores near you, ATM Kiosks, network carriers offering you credit, Apple Giveback and multiple online stores willing to pay for your old device. Furthermore, with iPads getting released every year, prices can crash at any point, it's all very confusing, and a lot of people lose out on their iPads true value. Here's where BankMyCell comes in. 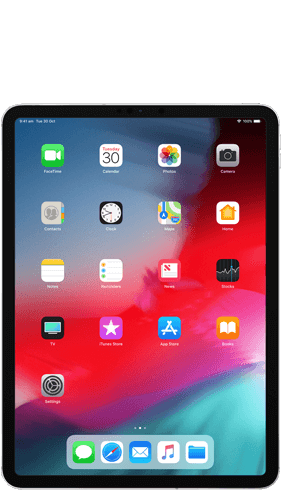 Below we show you how to trade in your iPad and get the most cash ANYWHERE; we do this by regularly benchmarking prices against popular carriers and stores, so you don't have to. Trade-in Quote: Search and find your iPad on this site by its name, storage capacity and if it's Wi-Fi Only or 4G LTE and Wi-Fi. Select a Store: Choose your iPad buyback store based on the price, payment and shipping options in their deal. FREE Shipping: Simply ship your iPad to the store using their pre-paid shipping options. FAST Payment: When the store gets the iPad, you get your trade-in cash deposited into your account or PayPal instantly! In short, using BankMyCell will get you paid the most money, plus it will be in cash and not any annoying store credit vouchers that expire. Reduce your upgrade costs today by choosing the smart route and get us to provide all the price comparison. If you want to find an Apple iPad trade-in solution that's near you, make sure the only reason is that you're desperate for the cash or the device isn't worth much. Why? Well check the table below, we update it every month with prices from instore solutions so you can see how low the iPad trade-in deals can get. Perhaps you're looking for where to sell an iPad near you for the convenience of visiting a store, you should probably know that the online trade-in shops send you a FREE pre-paid shipping kit right to your home and offer more money. So rather than a convenient trip to the store, just mail your device and get a bigger cash injection in your bank or PayPal account! In case you want to sell locally remember that with Amazon and eBay you'll have to pay a service charge to sell your phone, so Craigslist or Facebook marketplace may be a good option. Just be sure to read the tips on selling safe to a stranger, be sensible and safe! You could have lost out on up to $193.28 selling your iPad to a store! You could have lost out on up to $65 selling your iPad to a carrier! So if you're looking where to sell your iPad for cash locally, then you might want to hold back on a wasted journey, getting some of those offers will leave a sour taste in your mouth. Instead, use our site to hunt for places to sell your iPad online and get more, period! What's the best iPad trade-in deal for new, used and broken devices? Device condition: Is it brand new, used but in great condition, or broken? You can't sell blacklisted iPads too, so these are iPads with outstanding credit, reported as lost or stolen. Use the search above to find out how much you can sell your iPad for. Apple has a trade-in solution called the Apple GiveBack program; this is a solution that lets owners of iPads, iPhones, and Macs to swap their old device for store credit to use in their retail shops. It's worth mentioning right off the bat that Apple GiveBack is branded as Apple but is actually run by Brightstar, a global company in the cell phone market. You'll need to know your devices serial number when you're looking to sell used iPads for cash with Apple GiveBack. However, you can quickly check the top offer by looking at the Tablet section of the page to compare against BankMyCell. This convenient system is built for people wanting to upgrade and their old device for a new one, creating a seamless upgrade for consumers to get the latest tech. You get more than you would selling at other instore solutions like GameStop, Walmart, Best Buy, Eco ATM's and Target. Using their serial numbers, we checked the value of several iPads on Apple GiveBack; the prices were all less than the deals offered by the online trade-in stores we compare. The value you get is only available as store credit, so you have to stay in the Apple ecosystem with your cash and spend it on an upgrade or other products. Don't get us wrong, the Brightstar run Apple solution is still a good choice for customers upgrading their Apple products, and as mentioned they offer a reasonable deal compared to other in-store buyback programs people have learned to avoid. By using our fantastic service, you'll get paid exactly what your old iPad is worth. This means avoiding all the low offers from carriers, trade-in stores, and kiosks… instead of low store credit, get cash to spend on what you want. All devices get wiped of personal data, and any SIM cards you forgot to take out get destroyed. Plus, this is a no commitment service, you can decide if you want to send your device in or not, and if you're not happy with the offer request it to get sent back! Oh yes! With trade-in prices taking a nose dive when new iPads are released, all our stores offer a price lock service 365 days a year so you can sell today while the price is high and decide if you want to trade-in after the new iPad gets announced. BankMyCell is 100% FREE to use, and when you sell your phone using our website, you have no obligation to send it in. That's right! You can lock in your price at any point, get your shipping kit and decide if you want to sell or not – you have the power! In short, prices update every 15 minutes on our site, so now is the best time to sell your iPad for cash is today! However, if you're looking for the right time to sell your iPad online and you're not ready right now, then there are some essential facts to take into account. From tracking trade-in prices internationally since 2009, we know that the new iPad announcement will spark a violent drop in value, typically 15-20% days after the event. In fact, between 60-80% of your iPads 12-month loss of value is in the three months following a release - this can equal mean you lose out on well over $150 of cash. Could I sell my iPad to apple trade in stores? We often get asked this question, read on in the next section to see how Apple Giveback compares to BankMyCell's aggregated pricing. When should you sell your iPad based on your situation? If you're upgrading to the new iPad, then the best time to sell your old iPad for cash toward the upgrade is right before Apple announces the new model at the event, 2-3 days before. If you're merely decluttering, then waste no time and sell today. Prices rarely trend upwards so locking in your deal today will no doubt get you the highest value. If you want quick cash instore, make sure selling online with FREE shipping and waiting a few days is not an option. Why? Well for example, in one of our price checks Walmart offered $176 / 57% less than us for an iPad Pro… Ouch! NOTE: iPad release dates have not been as consistent as they are for iPhones, the original iPad came out in spring. The others have been spread over fall, winter, and spring, so we recommend checking when the next one is to avoid the price crash. Help! What model is my iPad? Ok, so you've got this far trying to sell your used iPad online and hit the 'what model is my iPad' wall. No problem, there are a few ways to find out what iPad you have before you make a mistake getting a quote for the wrong one! If you want to know which iPad you have and can't unlock or power the device on, then one fast way to check is to take off any protective casing you have and check the back of the iPad for the model number in the fine print. Just match the five letter number starting with 'A1' with the table below and find out what device you have. Another quick way to check the iPads model name, storage capacity and carrier is to use the devices settings app, unlock the iPad and find the 'Settings' app on your home screen. A little slower, but you can plug your device into the computer with your USB charger cable, and once the iTunes app is installed and opened, you will be able to see your device's name and details. How fast is the iPad trade-in process and payment? It's safe to say 7-10 days, but this can be a lot faster depending on how you ship the device to them. Once you've found the best place to sell your iPad using BankMyCell, the speed of the payment depends a lot on you shipping your device quickly. Prepaid pack printed: You get emailed your shipping details, so you can print them and ship your device instantly. Prepaid pack delivered: You get the packaging sent to your home, drop your iPad in and send it back to the buyback store. Once they receive the device, it's merely a matter of them running some routine checks to make sure it's the right model, it works correctly, and there is no water damage or warning flags on the iPads history. These checks only take a few minutes. Once the device is confirmed to be in the condition you stated, they can release the payment the same day they receive it. Of course, this is for direct deposit or PayPal transfers, if the store operates check payment then you'll be sent a check in the mail. What do I need to do before you selling my iPad? Apple watch owners: you'll need to go into your settings and un-pair it. Back up to iCloud: If you're selling the iPad to trade-in for a new one or just to get cash, you'll want to take a data backup just in case. Instructions are below. Reset your iPad: Delete all your personal data. Instructions are below. Remove accessories: Take off any cases, magnet holders, stickers and other accessories. Also, you can remove the SIM card, but they will securely and recycle it in an eco-friendly way if you don't anyway. How do I back up, turn off Find My iPad and reset my iPad? Follow the steps below to back up your data securely and find out how to wipe an iPad to sell right away. Before you start, we recommend you use either iCloud or iTunes to back up your old data, if you're upgrading or you are just selling your used iPad you will have a copy of everything. iCloud Backup: Go to Settings > iCloud > Backup, make sure the setting switch is turned on (green) and click the 'Back Up Now' link. iTunes Backup: Plug your iPad into the computer or laptop you have iTunes on (using your charging cable USB connector). Click on the Phone icon under the play button in the top left and follow the instructions on the screen. Make sure you followed the steps above to back up your device. To reset your iPad before selling go to Settings > General > Reset and use the Erase All Content and Settings. Once this process has finished, you'll know the phone is fully reset by turning it on and getting the setup or restore your iPhone screens. So now you know how to reset your old iPad to sell to one of BankMyCell's featured buyback stores, easy right! Is my tablet's personal data safe? Yes, your personal data is safe. Before you sell your old iPad, you can follow the steps in the accordion above to back up your information on iCloud and reset your iPad (deleting everything from your device). You should also be aware that their technicians will inspect any iPad sent to a buyback store. They have additional software to run a secondary wipe on your old device, they also remove and destroy any SIM cards left in the devices. This makes selling used iPads fast, easy and above all secure. In almost every case you won't get more trade-in cash by including chargers, cables, headphones or original packaging unless the device is brand new and never used, e.g. boxed and unopened. If you don't need the accessories then you can, of course, provide them to the iPad buyback programs, they'll recycle all of them in an eco-friendly way so no environment damaging e-waste ends up in landfills. How do I ship my device securely? Trusting UPS or any other postal service with your device can concerning when you're selling old iPads, particularly when the value depends on the condition of your device. FREE Shipping Kit: This is the easiest way, by selecting this option you get the packaging sent to your home! Simply follow the instructions they provide and ship your device, but feel free to pad the packaging out if you're still feeling concerned. FREE Shipping Labels: By choosing this option you can print out your label to attach to your packaging. We recommend sending your device in some solid packaging with some bubble wrap, air pillows or crumpled paper inside. Can I sell an activation locked iPad? If you're looking to sell iCloud locked iPads then, unfortunately, they are not accepted. You'll need to contact the person that owns the iCloud account and get the device unlocked, the same goes for devices with leasing payments left on them. In the unfortunate event of the person passing away that owned the account, you can contact Apple via a store or online, and they will be able to help you get the device unlocked after running through their security checks.